To the social scientists, Bangladesh is an enigma wrapped in paradoxes. She defied conventional prophets of gloom and doom during last three decades by making significant strides in social and economic spheres. Ironically, she is deeply divided politically despite bonds of extraordinary ethnic and linguistic homogeneity. The multiple dimensions of paradoxes of governance, economy and crucial sectors like finance and water are unwrapped in the twelve essays in this volume. While unrevealing the Bangladesh conundrum, this inter-disciplinary study uncovers a number of new paradoxes. It furnishes evidence in support of stimulating new hypotheses such as ‘Friendly Fire’(the harmful effects of benevolent measures by the Government), ‘Humpty Dumpty disorder’ (where old institutions are beyond repair), ‘legal system as slot machines’ (where an alien judicial system encourages frauds and forgeries) and odd mixture of opposites like cosmetic ethical banks and commercial micro credit. It also provides copious recommendations on governance, economic and financial reforms for policymakers in the country. 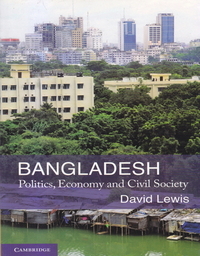 Though the findings are based on the experience of Bangladesh, the issues raised in this book are common to most developing countries. While considering the options for reforms, it took into account cross-country evidence. It provides valuable insight into development process. It is a must read for policymakers, scholars and students in the fields of public policy, economic development, political science and sociology.